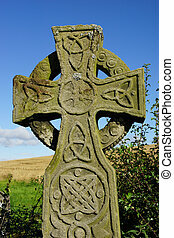 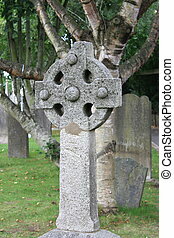 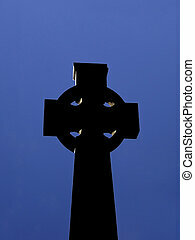 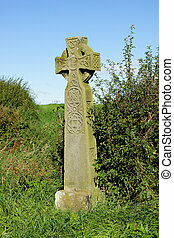 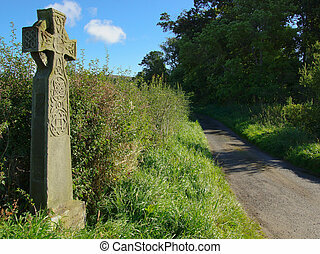 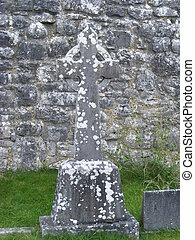 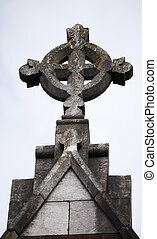 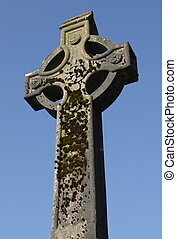 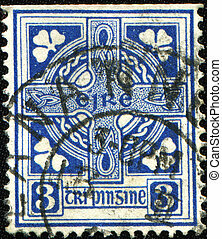 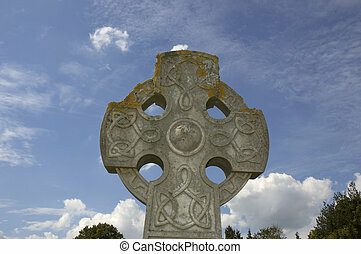 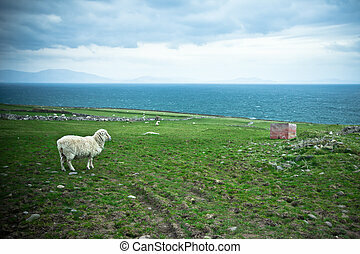 Celtic cross ireland. 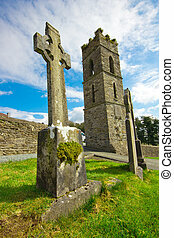 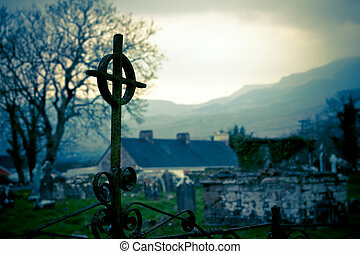 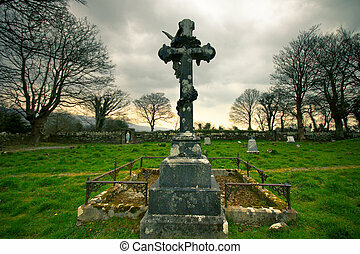 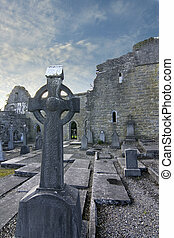 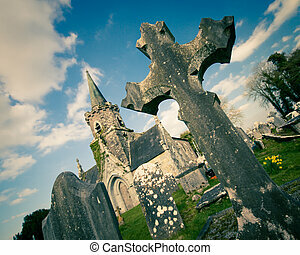 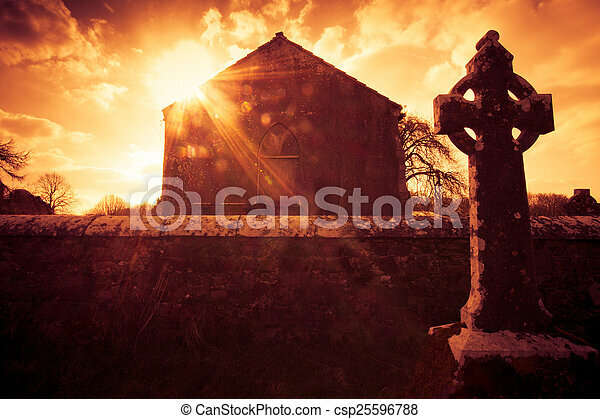 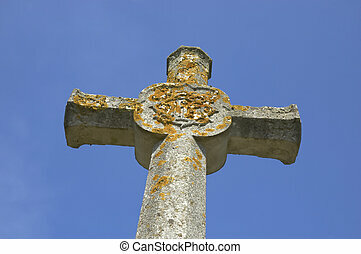 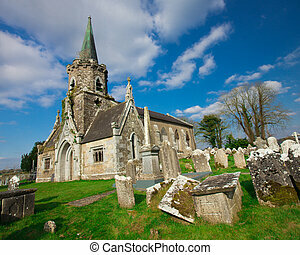 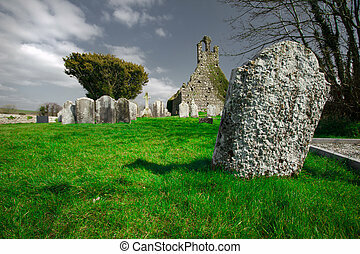 Ireland celtic cross at medieval church cemetery under fiery sky. 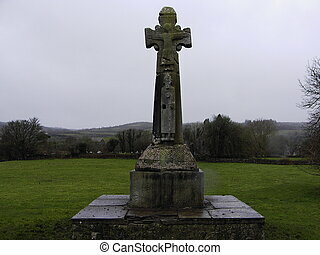 Crucifix grave marker in focal foreground with landscape of ancient Castlehyde cemetery in Cork Ireland in the background. 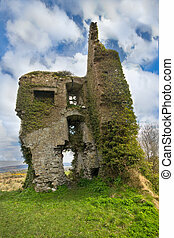 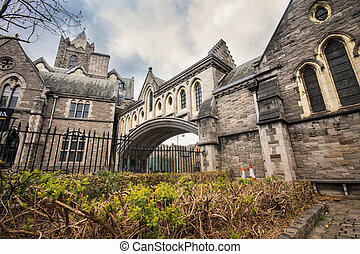 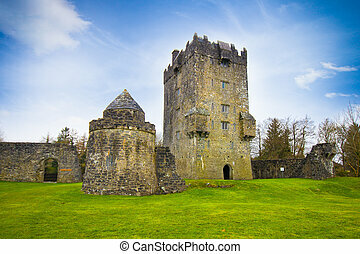 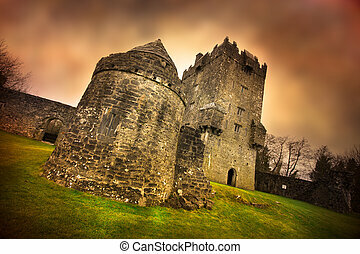 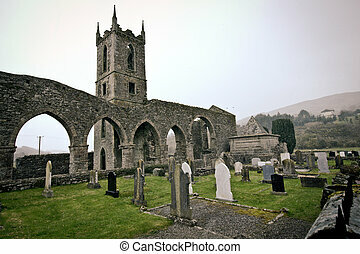 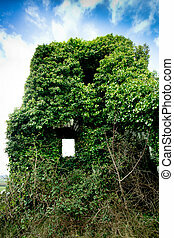 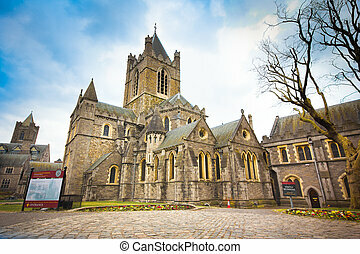 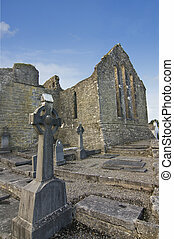 KILKENNY, IRELAND - MAR 28: Historic Black Abbey in Kilkenny Ireland on Mar 28, 2013. 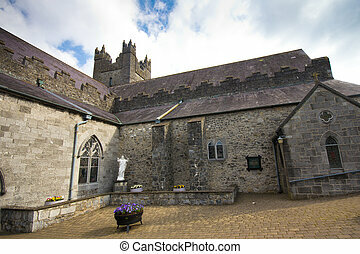 Black Abbey established in 1225 as one of the first houses of the Dominican Order in Ireland.